In Denmark, Professor Anders Larsen, an urbane man of facts, has lost his wife and his hopes for the future. On an isolated English farm, Tina Hopgood is trapped in a life she doesn’t remember choosing. Both believe their love stories are over. Brought together by a shared fascination with the Tollund Man, subject of Seamus Heaney’s famous poem, they begin writing letters to one another. And from their vastly different worlds, they find they have more in common than they could have imagined. As they open up to one another about their lives, an unexpected friendship blooms. But then Tina’s letters stop coming, and Anders is thrown into despair. How far are they willing to go to write a new story for themselves? Anne Youngson is retired and lives in Oxfordshire. She has two children and three grandchildren to date. Meet Me at the Museum is her first novel and was shortlisted for the Costa First Novel Award. 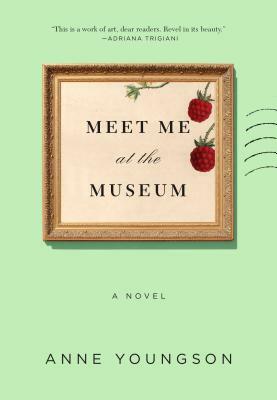 "A beautiful, moving, and utterly mesmerizing tale about life, love, and starting over, Meet Me at the Museum will make even the most cynical listeners believe in second chances."